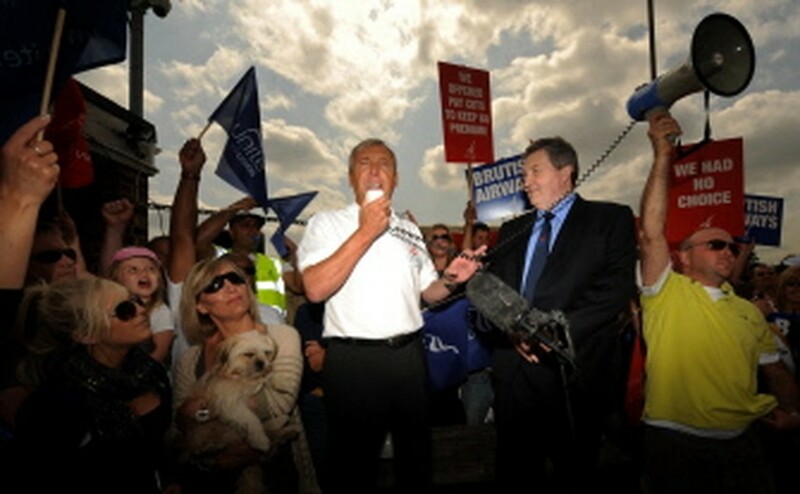 LONDON, May 30, 2010 (AFP) - British Airways cabin crew started a fresh five-day strike on Sunday with little sign of a breakthrough in the long-running dispute between their union and the airline. The latest strike by the Unite union is aimed at disrupting travel in the half-term school holidays in Britain, with a further five-day stoppage planned from June 5, which could hit flights to the football World Cup in South Africa. Unite said it believed the 12 days of strikes since March had already cost BA 84 million pounds (121.5 million dollars, 99 million euros). Talks between the two sides ended without agreement on Friday with Unite accusing BA chief executive Willie Walsh of blocking a resolution to the dispute on travel perks for cabin crew. Derek Simpson, Unite's joint leader, said: "He has refused to reinstate travel concessions in full despite Unite making it clear that the union would suspend the strike if he did so. "It would cost BA nothing to reinstate these travel concessions yet Willie Walsh is prepared to see the strike continue." BA said it would increase its flying schedule in the coming week as more cabin crew than expected had decided to work as normal during the strikes. Its schedule of long-term flights from its London Heathrow hub will be increased to more than 70 percent -- up from more than 60 percent this week. The short-haul schedule from the airport will rise to more than 55 percent of flights, up from more than 50 percent this week. This month, BA posted a record annual pre-tax loss of 531 million pounds. The airline, which has been hit hard by the decreased demand for air travel, is slashing costs and merging with Spanish rival Iberia in a bid to return to profitability.